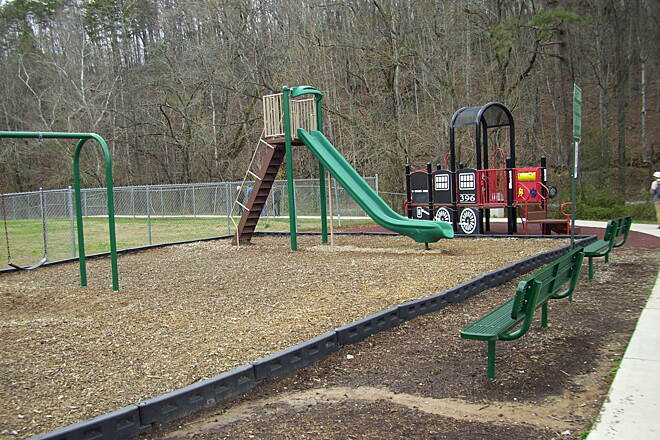 Nice playground for the kids near the nice restrooms! 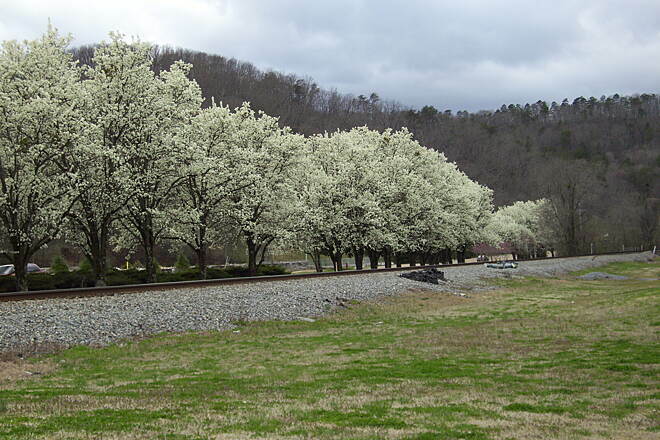 Bradford pears blooming early on March 29th, first day of RTC season! 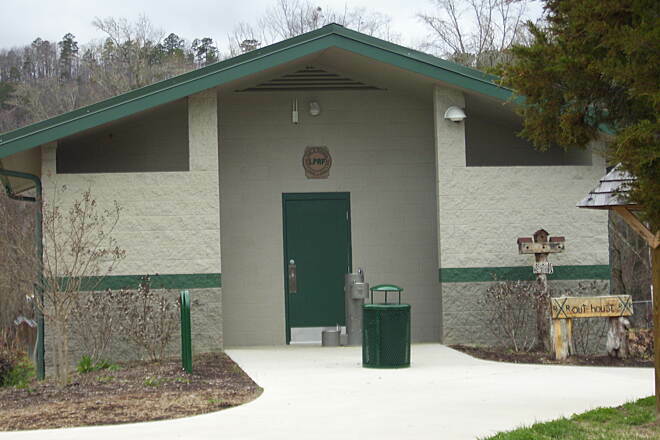 VERY NICE restrooms near the college portion of the trail. 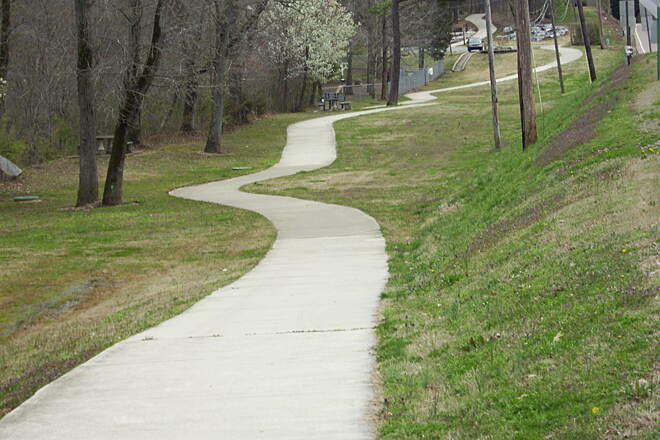 A side path leading to the college on the other side of the road. 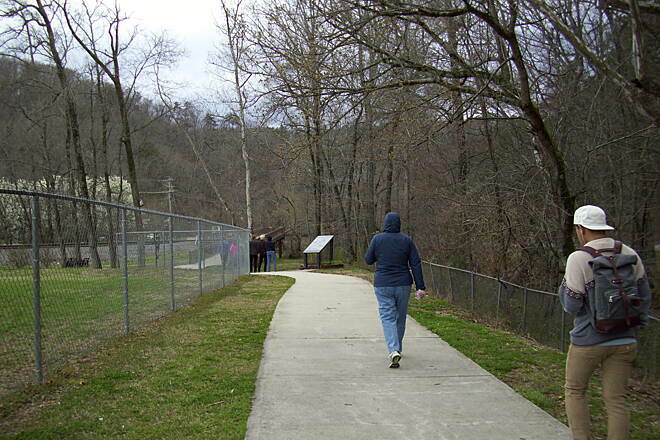 Path leading to map and bridge. 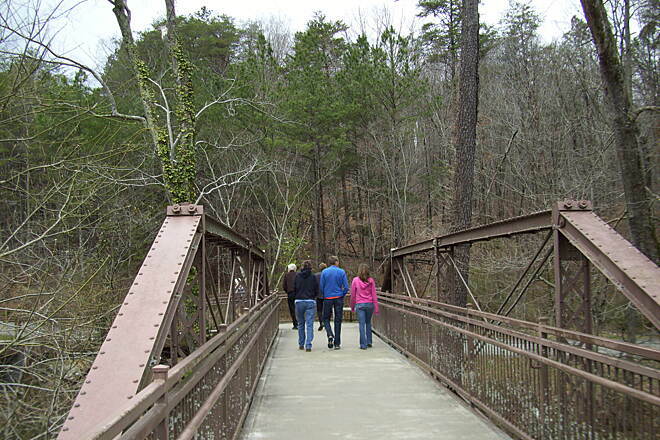 Ramp leading to bridge that crosses the creek. 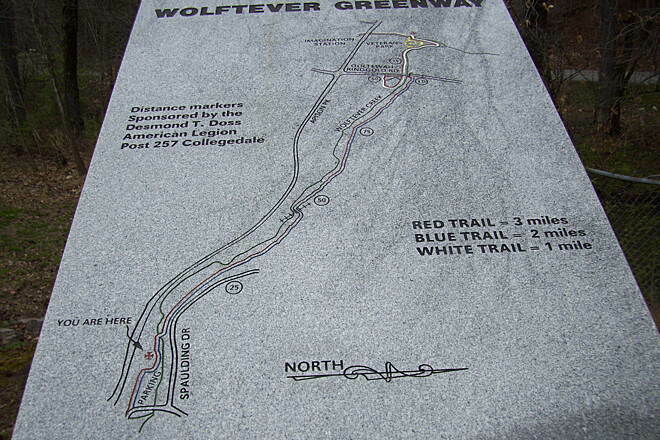 A good map of the greenway made into a granite slab. 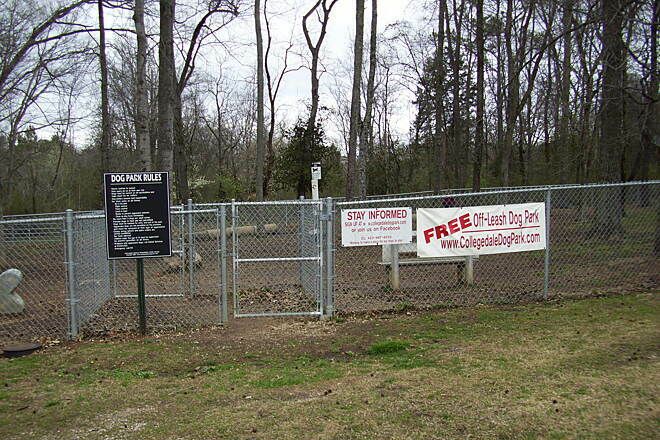 This portion of trail runs beside the highway and a leash-free dog park. 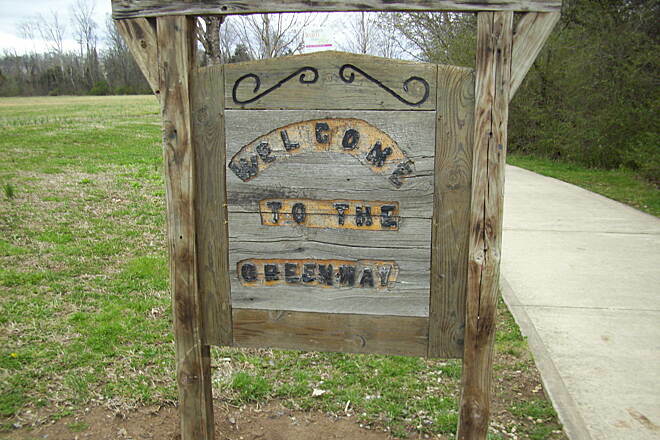 Welcome to the Greenway! 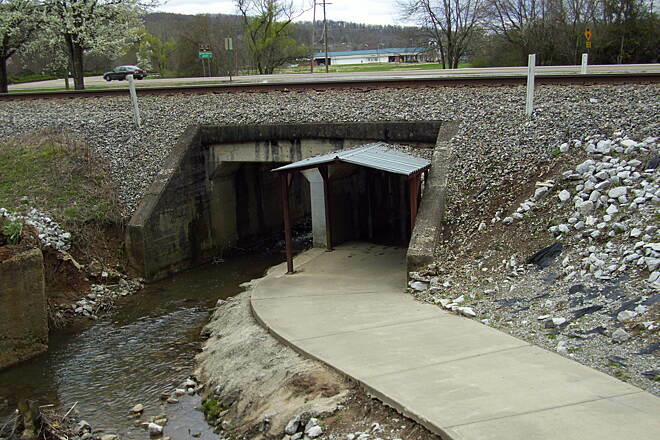 Collegedale,Tn. 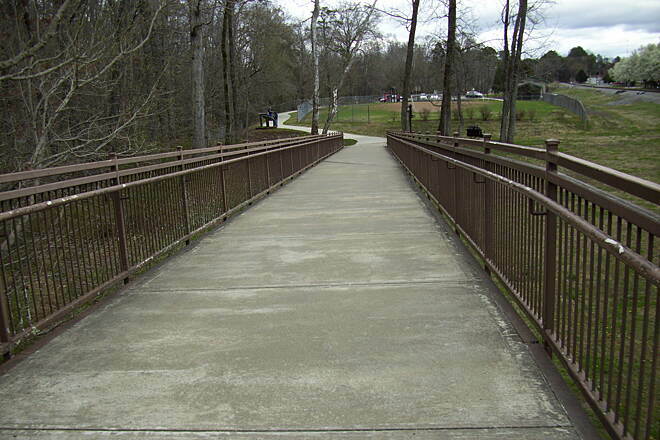 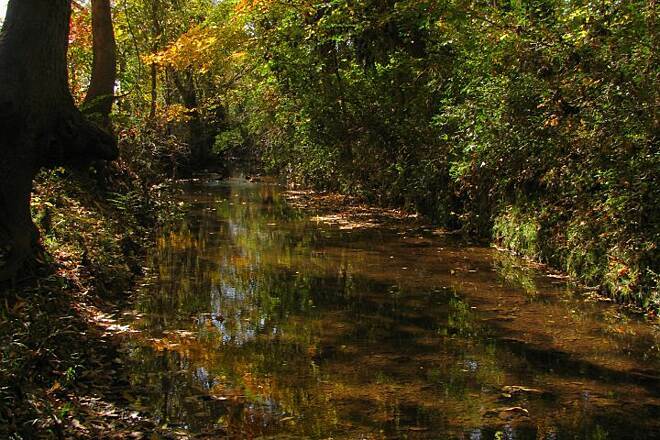 Photo taken at Veterans park from the Wolftever Greenway.